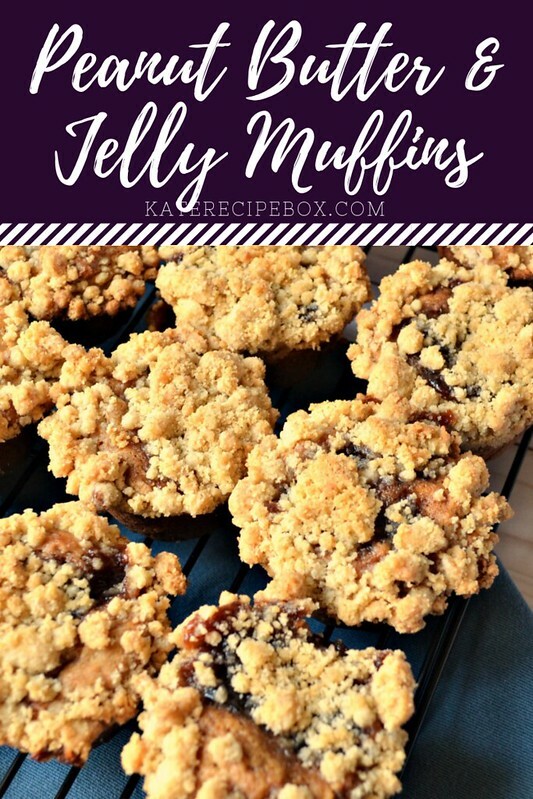 They start with a soft peanut butter muffin base, get a dollop of strawberry jelly, and are topped off with buttery crumbs. 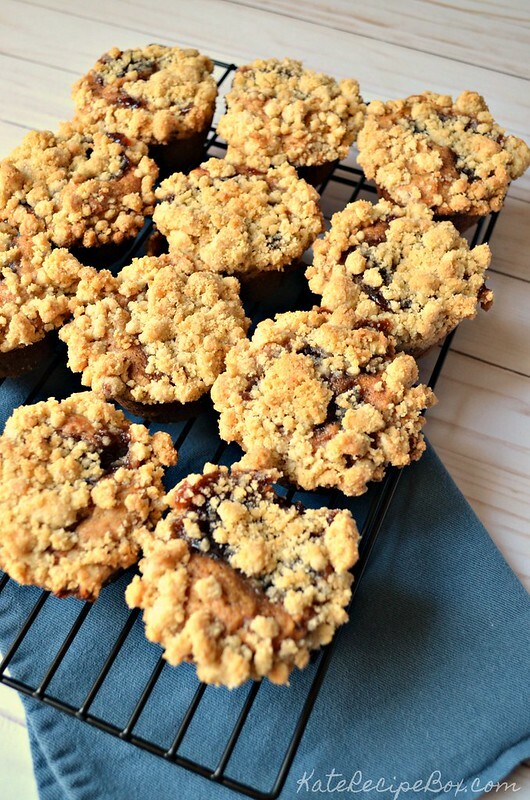 If you’re a peanut butter and jelly fan, you will love these muffins! My kids gobbled these, and immediately asked for another. They said these are their “favorite muffins”. Considering they’re muffin fanatics, that’s high praise! These make a really great afternoon snack, but if you’re in the mood for something else – dessert maybe? – I’m linking up with some blogger friends to bring you a whole bunch of great options! In a microwave-safe bowl, microwave the butter and peanut butter together for 30 seconds. Stir well, and continue to microwave in 15 second intervals, stirring well between each, until melted together. Set aside. Preheat the oven to 350 degrees. Spray a muffin tin generously with nonstick spray. In a large bowl, whisk together the egg, brown sugar, and vanilla. Whisk in the peanut butter until thoroughly combined. Stir in the dry ingredients until almost all moistened, then add milk and stir until just combined. Divide batter between greased muffin wells. Top each with 1 Tbsp. strawberry jelly. Stir together the melted butter, sugar, brown sugar, salt and cinnamon until well combined. Stir in the flour until crumbly. 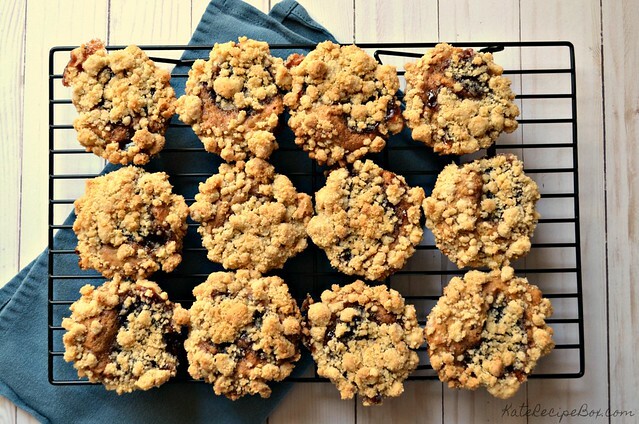 Top the muffins generously with the crumb topping – don’t be afraid to really pack it on! As the muffins puff up as they cook, it’ll spread them out. Bake for 20-25 minutes, until a knife inserted comes out clean. Thanks for hosting Kate. These muffins are sure to be a hit at my house too. Thanks for hosting. This was a fun challenge. And I can’t wait to try your recipe. These look so good! I know my kids would just love them (and I would, too)! 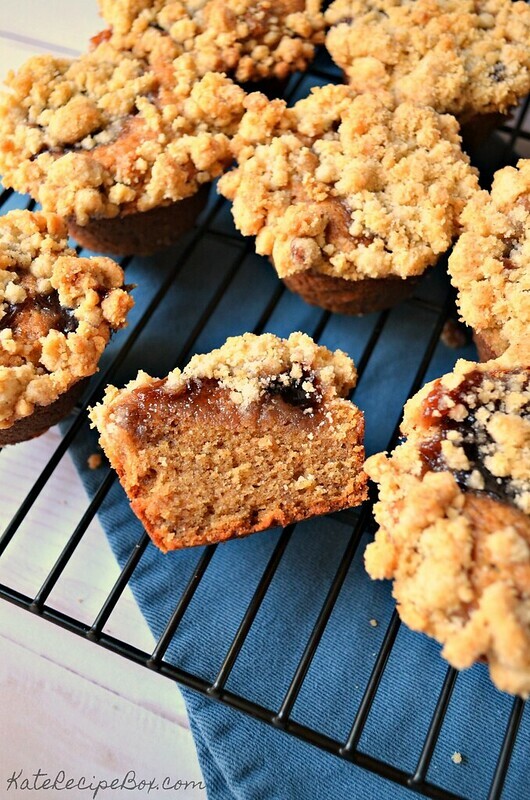 Cinnamon sounds like a great spice choice to go with pb based muffins! The crumble over the top makes this extra special.